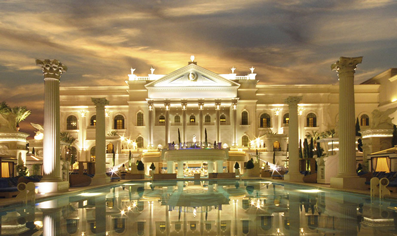 This year's conference will be held at Caesars Palace in Las Vegas, NV. 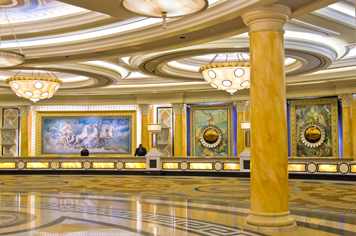 From the moment you walk through the doors of Caesars Palace, you know you've arrived at the most prestigious resort in the world. Impeccable service. Luxury. All the little details that make the difference between an ordinary visit and a spectacular experience are yours. 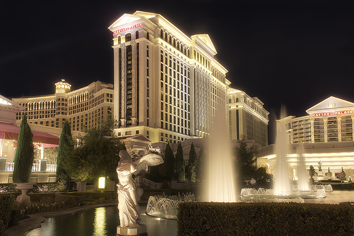 Why Stay at Caesars Palace? That is where the action is! Networking opportunities are around every corner and in every elevator. Save time getting to and from the meetings and exhibits, while enjoying the convenience of going back to your room between events to make phone calls and check email. We appreciate you making your reservation at our conference hotel where we have negotiated contracts to give you the best value and service. Your reservation also helps ensure we meet our contractual obligations with the hotel. We're sorry. This event is now closed to new reservations. Due to the proximity of the event dates, please contact your desired hotel directly regarding availability. Contact information, is below. 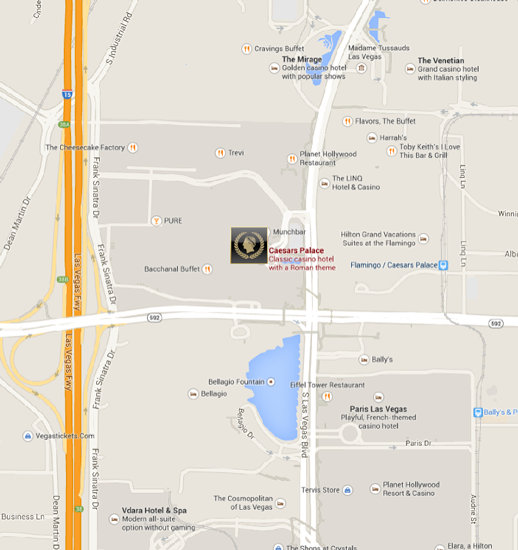 For more information on Caesars Palace, please click here.